It turns out that the i7-powered CI660 is actually part of a whole series featuring i3 and i5 options. 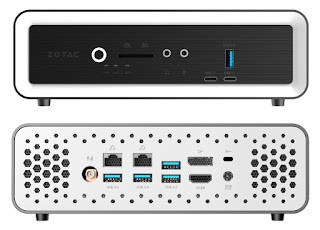 The CI600 series is indeed ZOTAC's new Core-based fanless mini PCs. Much to our delight, the cooling system has been completely revamped, and now features a giant internal heat sink. From ZOTAC: "We’ve changed the entire look. 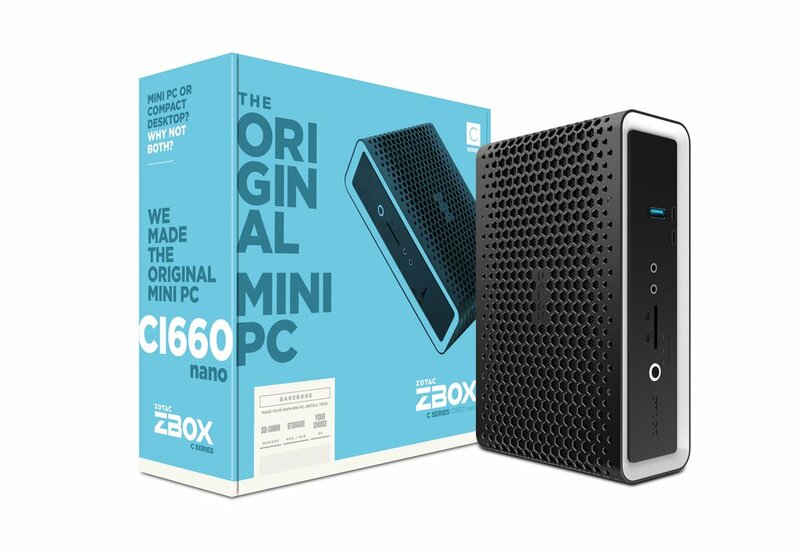 With an all new two-tone design, our Mini PCs look more stylish than ever, made to fit into any room in your home or office. 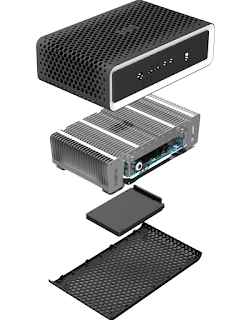 The sleek, modern honeycomb design distinguishes your new computer while ensuring optimal airflow; we know computer heat can become unbearable. Whether browsing the web or streaming your favorite songs and shows, we’ve engineered our new Mini PCs to give you up to 66 percent more cooling power than the previous generation C Series so you can beat the heat and stay comfortable. Completely fan-less, these compact powerhouses are capable of handling up to a 25W thermal design processor. With no moving parts, your Mini PC will see a longer, quieter lifespan. The all-new design features 270 degrees of breathability, with 90 percent of the surface area designed with open ventilation for maximum breathability thanks to our signature honeycomb pattern. After pushing the limit on design and airflow, we pushed the limit on power too. Equipped with an 8th Gen Intel® Core™ i7 processor with four cores featuring Hyperthreading™ for the first time in the C Series nano series’ history. Our new lineup gives you up to 20 percent faster processing performance than previous generations. 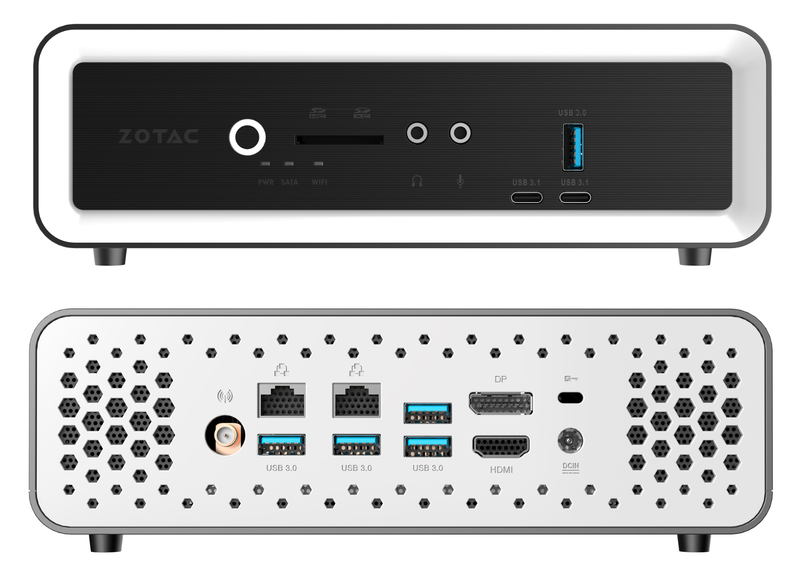 With an available HDMI 2.0 and DisplayPort 1.2, the all new ZBOX C Series is dual display ready. The integrated Intel UHD Graphics 620 bring 4K @ 60Hz display resolutions so you can see more, with increased clarity. And when we say it’s mini, we mean it. Our all-new C Series Mini PCs measure at just 204mm x 129mm x 68mm (8.03in x 5.08in x 2.68in,) you can lay, hang, or hide your new ZBOX C Series PC wherever you like. Even customize it however you like with tool-less access to the SO-DIMM memory slots and 2.5” HDD/SSD bay, we’ve kept simple installation and expansion as a focus with our ZOTAC ZBOX Mini PCs"